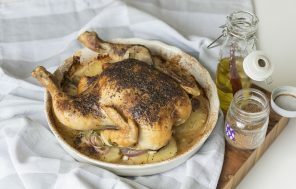 This weekend, take your roast chicken dinner to new heights, using my Jamaican inspired : Savoury Spice Mash Up. Grab some new flavours to store away in your pantry and use when you’re ready to head to the Caribbean but stay in your kitchen – hahahaha! 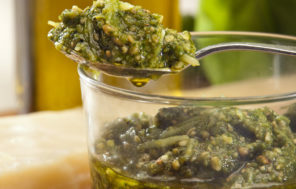 I make this pesto every week, why, because it can be used with so many different dishes. Try it in sandwiches, on pizza, with grilled meats or drizzle through a good soup. Fabulous on an anti pasta platter or tossed through some pasta or mashed potato. Even for breakfast on hot toast with avocado……oohhh… somebody stop me! Oh lordy, this is such an incredible fish and seafood marinade. Lots of personality and you can adapt and use your favourite herbs. I call it a ‘Mash Up’ because you can use it as a dressing for salads, roasted potatoes or drizzled through warm cous cous. I dollop a spoonful on lamb chops just off the BBQ or in the winter a puddle my soup! This is a sweet, milder version of my everyday classic Jerk recipe. 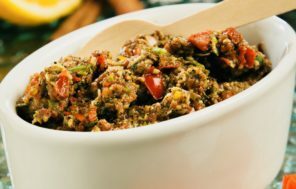 The allspice imparts such a warm and juicy flavour to any meat, fish, seafood or vegetables when cooked in this classic aromatic Caribbean marinade, which is the ‘mutts nutts’ on the BBQ. We all know Jerk pork and chicken, but consider this amalgamation of Gods own ingredients to kick off a vegetarian risotto or saute with onions, garlic and fresh thyme, add stock and coconut cream and you’ve created a heavenly curry sauce…… call me….. 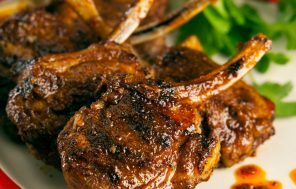 When it comes to the BBQ, you just can’t beat a lamb cutlet, crisp and caramelised on the outside with sweet pink, tender and juicy meat when you take a bite. 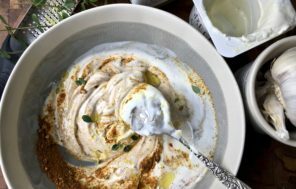 Combined with this north African marinade and we are talking all the goods!! Great on all cuts of lamb, pork and chicken too. Off season, great under the grill or roasted to perfection.